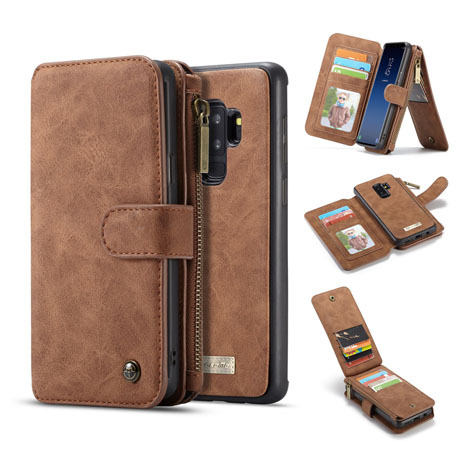 Samsung Galaxy Note 9 has been released for one week, the market pre-sales situation is less than expected, but the sales of Galaxy S9 Plus has increased slightly, its accessories have risen sharply, and the leather case is a classic style, here is the best selling Samsung Galaxy S9 Plus leather case on our website. 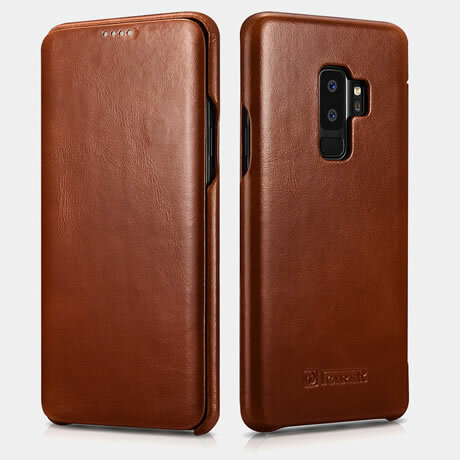 Each iCarer case is hand-crafted, crafted in genuine leather, each with a unique texture, soft, ultra-fine lining and curved edge flip for perfect protection of the galaxy s9 plus screen, and prevents screen scratches and rubbing Injury, its slim profile does not add too much weight to your samsung phone. Do you like retro leather wallet case? If yes, this CaseMe Wallet Case is perfect for you, with 14 separate credit card slots, an ID card slot put your driver’s license, and a zip pocket for some coins or banknotes. The 2-in-1 detachable design means you don’t have to carry your wallet at all times, at home, you can take out the magnetic back case, use a wristband to keep you carrying it. If you don’t mind its thickness, it’s perfect for you, with a lot of credit card slots and a large capacity zipper that can store a lot of necessities, it is perfect replacement for your wallet. With a wristband and mirror, you can check your makeup at all times. 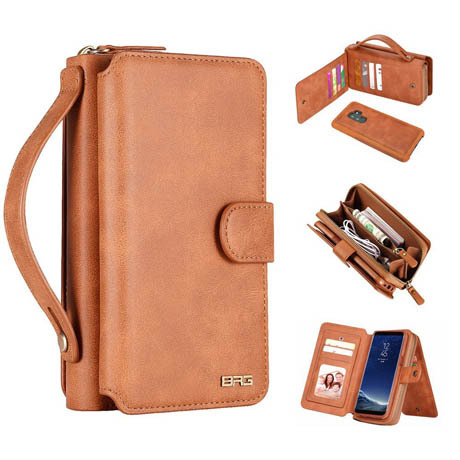 This is a classic leather case with 3 card slots and a detachable design. Its detachable case does not interfere with the S9 plus wireless charging. 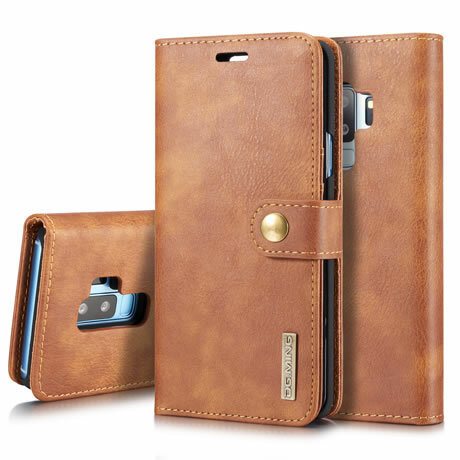 Cowhide leather makes this phone case durable.